Slug Life, filmmaker James Hankins’ candid documentary of Spectres’ 2015 UK tour, is being shown as part of Bristol’s New Year / New Noise festival later this month. Originally screened in London last year, it is by turns funny, poignant, depressing and often just downright mundane – the perfect depiction of life on the road in the 21st century. A seemingly endless whirl of load-ins and load-outs, badly promoted shows, cheap noodles and bizarre otter stories, it follows the band as they make their way around the country after the release of their debut album Dying, including a return to their hometown of Barnstaple in North Devon. 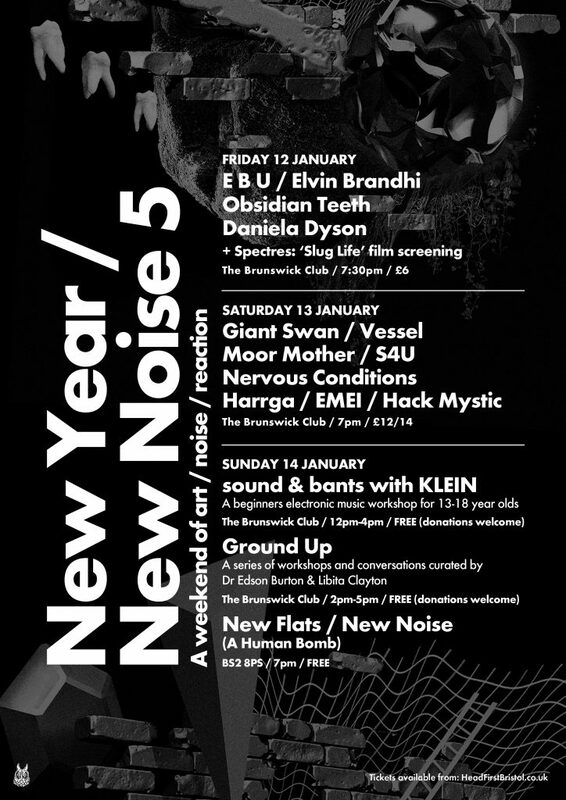 The fifth and final edition of New Year / New Noise – organised by Spectres’ Joe Hatt and Adrian Dutt in their Howling Owl guise – takes place at the Brunswick Club between January 12 and 14 and features live performances from Giant Swan, Vessel, Moor Mother, S4U and many more, alongside workshops and discussions. Slug Life will be screened on Friday, January 12. Tickets can be bought here. The Facebook event page with further details and times is here.